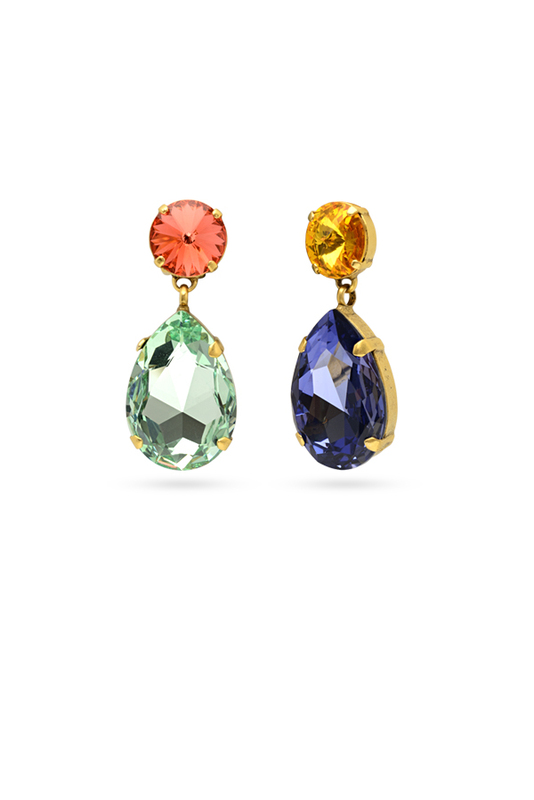 Oxidised satin gold plated mismatched earrings with Swarovski crystals. 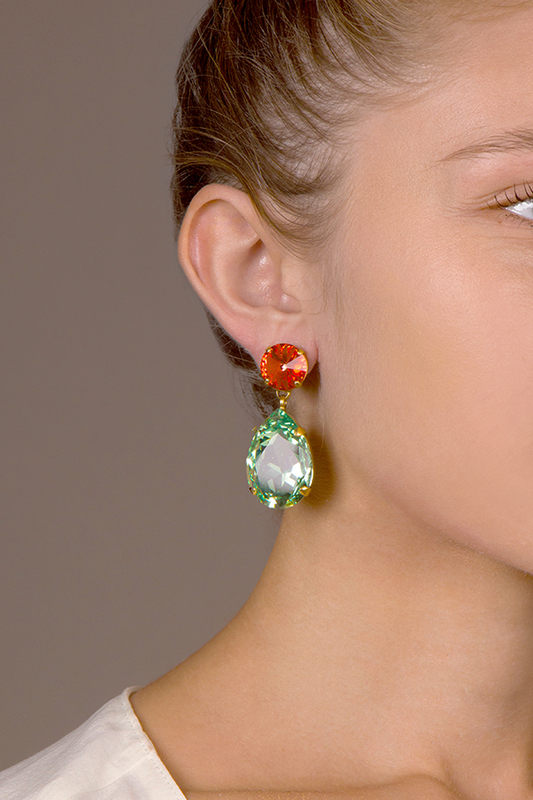 Earring 1: Orange-yellow and purple Swarovski crystals. Earring 2: Grapefruit red ans mint Swarovski crystals.